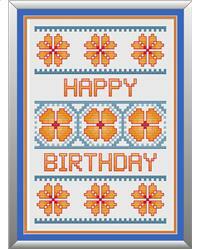 A simple but effective design for a birthday card. The colours I chose for this really stood out for me, and were bold and bright. If you like this design, I have also done a Christmas, Easter, Mother's Day Card, as well as other occasions as well.